EUGENIA ZORBAS, Canadian International Development Agency. STEPHEN BROWN, University of Ottawa. DAVID GILLIES, Canadian International Development Agency. Moderated by JOE INGRAM, North-South Institute. Presented by the Fragile States Research Network at CIPS, in association with the North-South Institute. Free. Presentation in English with a bilingual question period. Registration is required. To register, please contact [email protected]. From Afghanistan and Iraq to Haiti, Cote d’Ivoire, and Egypt, ill-timed, fraudulent, or poorly managed elections have led to discord, violence, and even regime change. 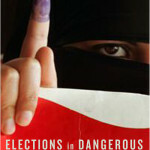 While much of the international community views elections as a critical milestone in the stabilization of war-torn societies, Elections in Dangerous Places shows how flawed elections can act as democracy in reverse and diminish political legitimacy and stable governance.